In the darkest months of winter much of the lettuce you buy in a grocery store has been shipped in from a warmer climate where the sun is shining and temperatures are warm. 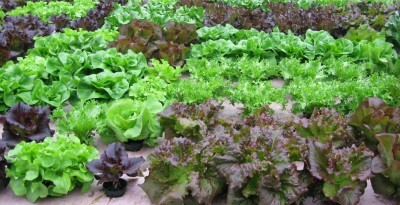 A growing number of Michigan restaurants, however, have a preferred supplier that allows them to offer just-picked, locally grown fresh lettuce of the highest quality. Those restaurants can offer the freshest salad even during the bitter cold of a Michigan winter! How is that possible? Steve and Kris Van Haitsma of Mud Lake Farm have an interesting story to tell. They are committed to being one of West Michigan’s leading suppliers of fresh, high quality lettuce for area restaurants that pride themselves on using fresh, local ingredients in all the meals they serve. This requires extensive use of artificial lighting for several months of the year. The Van Haitsma’s had been using a grow light technology that had been around for decades. The cost of keeping the lights on for the five to six months each year was especially expensive. In looking for a more cost effective alternative, Steve was introduced to TotalGrow lights manufactured by Venntis Technologies, LLC in Holland, MI, a supplier to The Energy Alliance Group of Michigan. 50% or less of the energy of most grow lights in use! 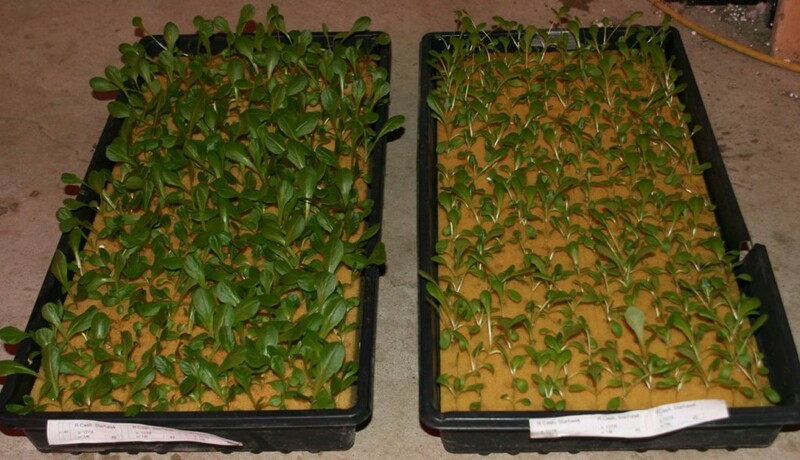 TotalGrow lights were promoted not only as an energy-saver, but also having the capability to uniquely advance plant growth and development. Consuming 50% or less of the energy of most grow lights in use today, the lights use a patented solid state light-emitting technology that provides the optimal spectrum for plant growth and development. The emitted light is incredibly uniform, eliminating shadows and hot spots, and the lamps have an operating life of about 20 years under typical greenhouse use. 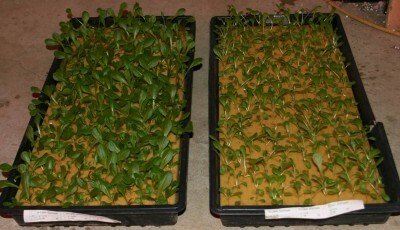 TotalGrow on left – Results 14 days after planting – fluorescent on right. According to Steve the outcome of the test was an impressive 50% increase in plant growth. What was even more impressive was the fact that the results were achieved with one third less electric expense! Steve explained that the new lights produce the exact spectrum of light that is most usable by a plant. For most grow lights in use today, only about 20% of the output can be used by the plant. The other 80% is basically wasted energy. The result is better production at significantly less expense. Now you know the secret behind the tasty and fresh produce served by many area restaurants, even during a Michigan winter! If you are a restaurateur or greenhouse operator, and would like to know more about TotalGrow lamps, simply click HERE. The Energy Alliance Group (EAG) of North America is an energy solutions company providing energy saving products, technologies and services.